Bogs may not be the most romantic places around; and they may not be the most scenic, but one thing about bogs is they are full of life. At least the bogs around northern Minnesota are. One boreal bog in particular has become world-renowned on the strength of the abundant avian life there. Sax-Zim bog is that place. Roughly 50 miles northwest of Duluth, Minnesota. Birders from around the globe have discovered that Sax-Zim is one of the best places on earth to see boreal birds, especially owls. At one time, the bog was a well-kept local secret, but an irruption of tiny Boreal owls (Aegolius funereus) a few years back brought the birding community to Duluth. It wasn’t long before several national media outlets picked up on the local secret. Now the bog can be a busy place. Fortunately, it’s also a huge place. At roughly 300 square miles there is plenty of elbow room. The habitat is a mix of giant black spruce and tamarack bogs, with interspersed hayfields and meadows. There are private inholdings that must be recognized, but the vast majority of the property is publicly owned. 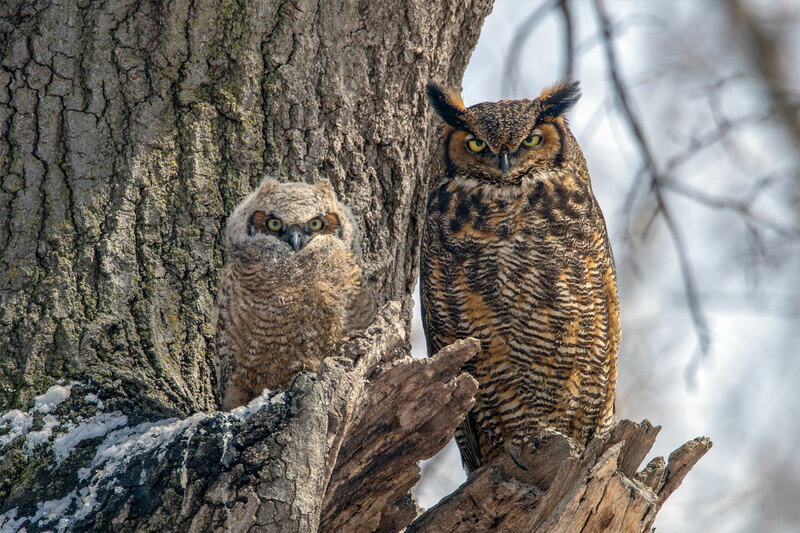 Female Great horned owl (Bubo virginianus) and chick at nest site. There are year-round viewing opportunities at Sax-Zim, but the best birding happens in the winter. Minnesota, can have brutally cold winters, and Sax-Zim is in the coldest part of the state. -50°F is not unheard of in the depths of winter. -20°F is common. This can be jarring for those unaccustomed to it, but the reward is the opportunity to see several difficult-to-find species. Great gray owls (Strix nebulosa) are probably the area’s biggest draw. The big, silent raptors are frequently observed. Northern hawk owls (Surnia ulula) are also regularly sighted, along with the more common Barred (Strix varia) and Great-horned (Bubo virginianus) owls. In recent years Snowy owls (Bubo scandiacus) are frequent visitors to the boreal habitat, and occasionally tiny Saw-whet owls (Aegolius acadicus) are located in the bog. And, as previously mentioned, infrequent irruptions of Boreal owls do happen. 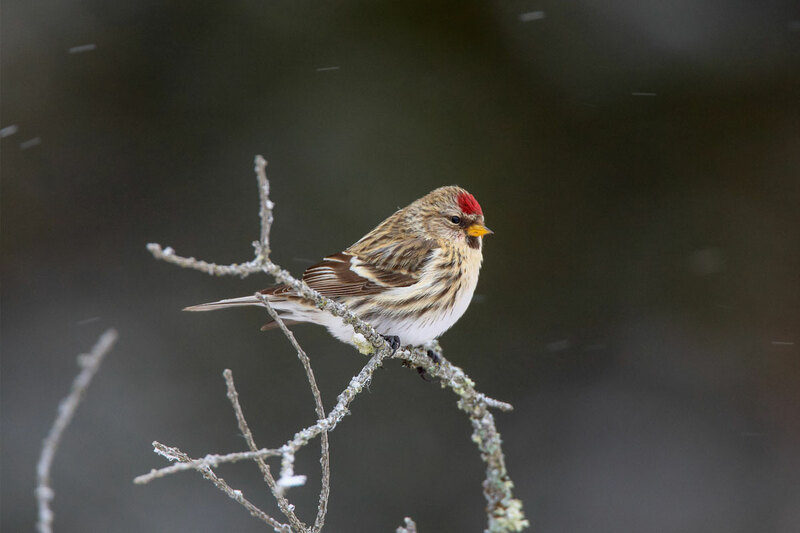 Female Common redpoll in winter. 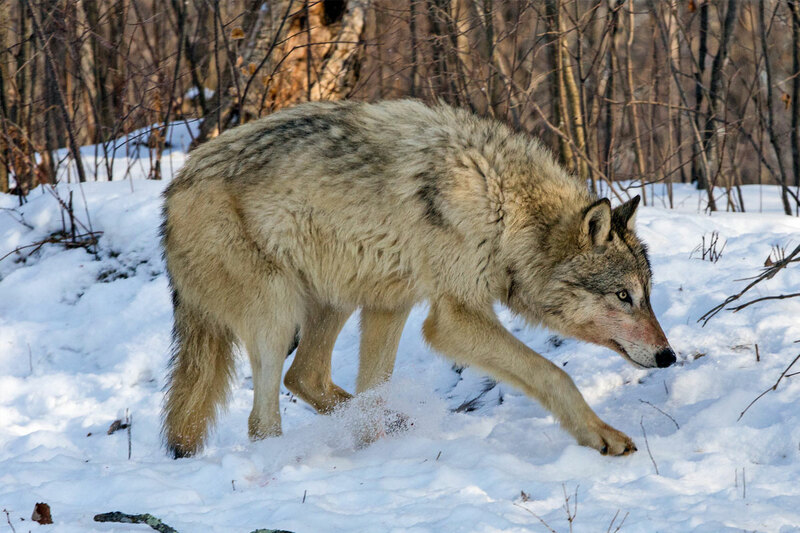 Gray wolf(Canis lupus) in winter habitat. Captive animals. Mammals also live in the bog, especially predators like American martens, bobcats, wolves, coyotes, mink, foxes, and even the rarely seen Canada lynx. White-tailed deer are common and you may even spot a moose. 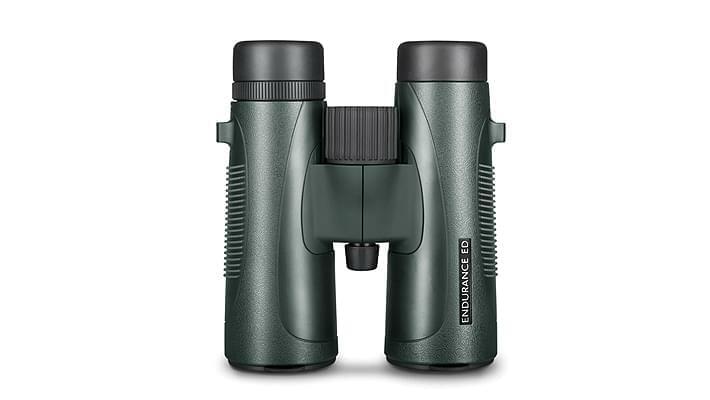 Quality binoculars are a must for bird and mammal identification. 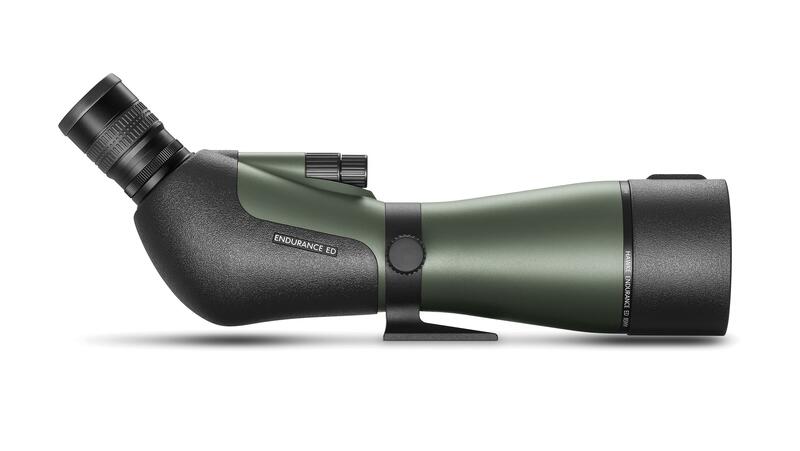 My preference is 10×42 glasses for this flat, lowland terrain, but 8 power optics will also suffice. 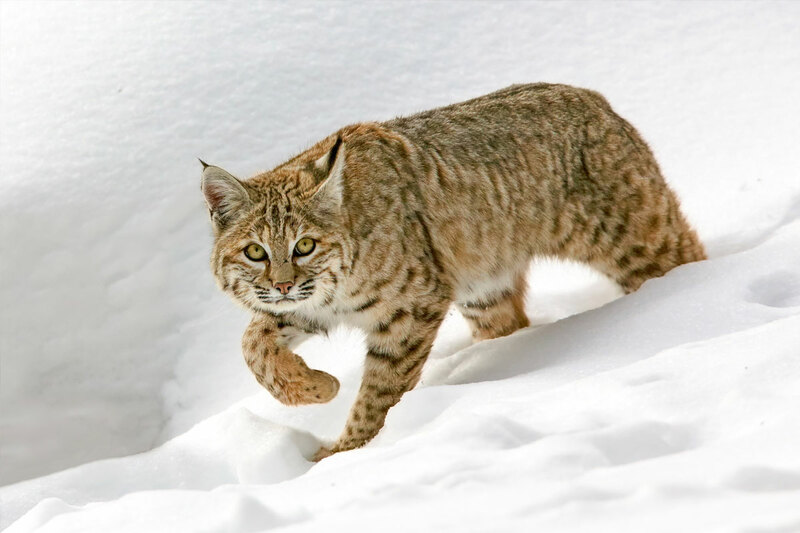 Bobcat (Lynx rufus) in winter habitat. If you go there, start with a visit to the Friends of Sax-Zim Welcome Center. The people there can point you to recent activity. If no one is available to talk, an information board at the center will have the latest news from the bog, including recent bird and mammal sightings. It may be remote, and it may be cold, but Sax-Zim is a wildlife lover’s paradise even in the depths of a Minnesota winter.